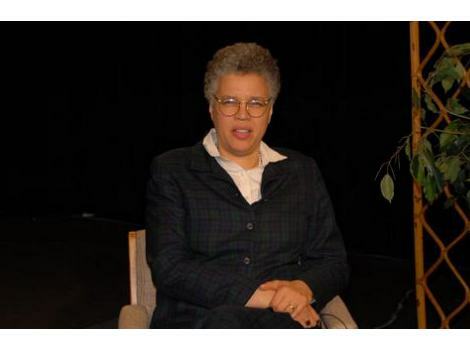 Election 2007 was honored to have Alderman Toni Preckwinkle talk about the many issues confronting Chicago’s 4th Ward. This show was hosted on January 18, 2007, by Frank Avila a famous political expert and a well known attorney. Click here to enjoy the video: http://video.google.com/videoplay?docid=-9200136338675455406 This is the first show I have ever produced, so to have Chicago legends like Alderman Preckwinkle and Frank Avila was an event I will remember. Help support Toni by calling 1-773-924-5042 or by visiting her web site, click here: http://www.chicityclerk.com/citycouncil/alderman/ward4/index.html Photo by Patrick McDonough. Great show, and I am voting for TONI!!!! Is she going with Dorothy Brown? She seems like the smartest alderman in the City Council. I could help her with hair and clothes though. Tony Preckwincle should run for Mayor. I agree that Toni should be Mayor of Chicago. She is the smartest and most articulate Alderman. I think to comment on her appearance and hair is very shallow. It’s what’s on the inside that counts!